Summer is quickly approaching and that means warmer weather! The summer months mean more plastic water bottles will be used. Our fifth installment of the Sustainable Substitute Campaign is all about how to make sustainable choices with your water bottle. Every year, about 50 billion water bottles are purchased and about 80% end up in landfills. It takes around 17 million barrels of petroleum to produce plastic bottles annually. To combat this, there are many water bottle companies making a sustainable difference. Dasani® is taking steps to reduce its impact on the planet. Dasani® water bottles are made of up to 30% plant material. The Dasani® PlantBottle® is USDA Biobased Certified and is 100% renewable and recyclable. A unique feature of the PlantBottle® is the twist. This allows you to twist the bottle, loud and proud, to half its size! Twisting the bottle helps reduce overflowing recycling bins and allows for a fun way to remember to recycle! Nestle® has also been taking steps towards sustainability with their water bottle, Nestle® Pure Life®. Nestle® bottles are 100% recyclable and feature 40% less plastic. The company is also working on investing funds in finding a solution to the recycling gap in the U.S.
Danone® is another company reducing their packaging by being almost 100% fully recyclable. By 2020, they hope to eliminate the use of paper-based packaging and move toward bio-sourced plastic materials. Danone’s most common water bottle brand available in the United State is Evian®. Most water bottle companies have recyclable plastic bottles, but another great alternative to plastic is a reusable water bottle. There are many kinds of reusable water bottles to choose from made by companies that are working towards a sustainable future. Reusable water bottles can be plastic, glass, or stainless steel. Some of the post popular reusable brands include Camelbak®, S’Well®, Hydro Flask®, and Polar Bottle®. Biobased products provide a sustainable substitute to petroleum-based products and help reduce the amount of carbon dioxide in the atmosphere. Use #BiobasedLifestyle to follow the campaign and to show us what biobased products you’re using to create a more sustainable future. 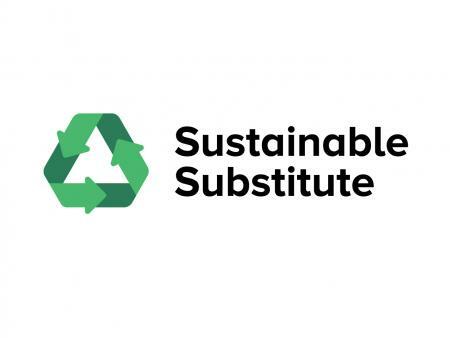 Sustainable Substitute is a series centered around providing education about sustainable products for every day use. This article was written by Kaitlyn Evans, OBIC Student Assistant and Sophomore at The Ohio State University.